Google held a press conference today, announcing the launch of Google Go and Google Jobs in the Philippines. Google Go is described as an “AI-powered app to help new smartphone owners to discover website and apps.” The app features optimized search results, take up less than 5 MB of storage, and has a tap-first user interface. With this, users can press “play” on any website and the app will read the text out loud. The company also announced the launch of Google Jobs on Google Search this month. With this, users will be able to see job listings from different sites such as Kalibrr, Jobayan, Jobs Cloud, and government listings from the Department of Labor and Employment and the Civil Service Commission as well. Job-seekers will be able to refine their searches in relevant jobs in specific locations and save the jobs to view for later. Google Go is now available on the Google Play Store while Google Jobs is set to launch in the Philippines later this month. 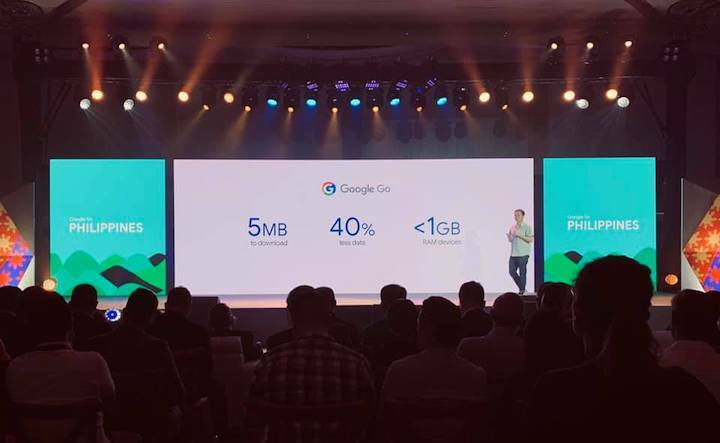 The post Google launches Google Go, Google Jobs in the Philippines appeared first on YugaTech | Philippines Tech News & Reviews.